Before they became masters of the skies, they had to take baby steps. -Any trainer that has a student and instructor on board. -Any scale past, present or future. I'm betting we all have at least one in our stash, so what do you all think? I've got several post-war RAF trainers in my stashed, so count me in. If this is permitted, then will join. Well let's see Cessna 150 (earned my license in a 152), Tiger moth, Stearman Kaydet, T-6, T-28, T-33, T-38, T-45 and T-2. Yep, I might have one for this. Also have a T-34, but I think it's past the 25% spot. A quick look reveals I have a Sopwith Strutter trainer, Avro 504, Tiger Moth, Harvard, Chipmunk, Provost, Vampire T11, Tucano, Hunter T7, Jaguar T2, Gnat and several Jet Provosts and Hawks. Some of those I had completely forgotten I had, so worth my time looking. Pretty sure I also have a Hobbycraft kit of a CAF trainer that looks like a cross between a T-37 and JP. I can't for the life of me remember what it is exactly or find it, but I know I have it and it's bugging me. That'll be the Canadair Tutor. Watch out for the u/c legs in the 1/72 kits. As moulded they're much too long and need to have a couple mm clipped out of them. Hobbycrap did two boxings (also in 1/48); the Snowbirds and a standard trainer (inexplicably called the "CT-141"). Try to get the "Black box" versions, because the "grey box" decals are quite frankly garbage. Yeah that's the one I was thinking of. I'm pretty sure I do have the 1/72 grey box Snowbirds boxing because I remember how bad the decals looked. I'll have to try to find it and check. I'm leaning towards doing a Hawk for this build. Recently picked up the Revell 1/32 and some really nice decals by Flightpath. Just one question about the rules. Is the campaign just for primary trainers, or is it also covering advanced trainers such as the Jaguar T2 and Mirage IIIB for example? It's nice to see such an interest here! Regarding the couple of questions so far, Pasi, the FE 2b, was used as a trainer during the war, and afterwards a few were sold to China in 1919 with a modified nacelle with dual controls. I'm not sure on the RAF version during the war, except that it was used as a trainer. So yes, I think it would qualify. Stephen, as to the Jaguar T2, and Mirage IIIB. Both are 2 seat advanced trainers, one for an instructor and one for a student, so yes there in. Thanks John. So joining the campaign. Cool. Just something I thought about while typing my last post. Opens up the campaign to lots of interesting types. I've always had a plan to build a collection of RAF trainers, hence how I have so many unbuilt. This will finally give me the kick up the back side I need to make a start. I would like to join. Jessie_C was my inspiration. 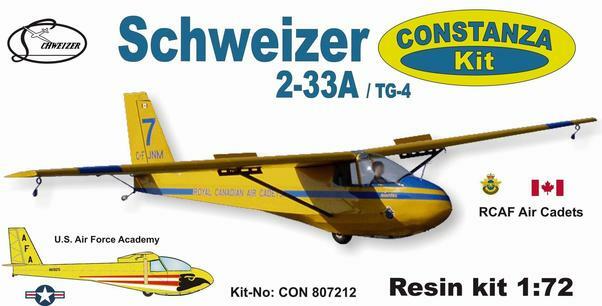 I have ordered a CMR Laister-Kauffman TG-4 two place training glider. I have never built a resin kit, so a glider should be a good place to start. Wow, two gliders in the bull pen! Neat! We're getting closer to the magic number of 10. Not a clue as to when this would start, I'm thinking of bouncing it off of Michael, to see what the que looks like. I did have a ribbon idea, something along the lines of an Icarus silhouette, though I have no idea as to how to make them. Any thoughts here would be most helpful. Invite your friends, we can get there! My kit came today. I think I will buy some more of these glider kits. They should be easy, fun, and no drama. I've Special Hobby 1/48 Ar96 in the stash, so count me in. Just curious, has there ever been a glider/sailplane campaign? Lap Man, good choice! Bill, I'm not too sure on the glider campaign question. I've not seen one, but I've only been a member for 3 years. I have seen gliders done in campaigns, though the ones that you and Jessie propose are far more elegant! I was able to touch base with Michael regarding a potential start date. He indicates that December looks to be where the que is for new campaigns. I also surfed the internet under "Learning to Fly". Interesting images there, certainly good ideas to come up with a ribbon. Any thoughts here would be most helpful. Hopefully, this information can get some folks off the fence. We're getting really close, by my reckoning we need one more. I'm still holding out hope that one more will want to learn to fly! Jessie, had a good laugh, thanks! I did upload a few pics that might be good inspiration for a ribbon. From the days of early flight. of course any other ideas are welcome. As I've said, I have no clue on how to make these things. Let's hear your thoughts, and we need just one more to want to join! The trick to making a ribbon is to keep the design simple and bold. When you've only got 50 X 100 pixels, anything complicated becomes a mess. 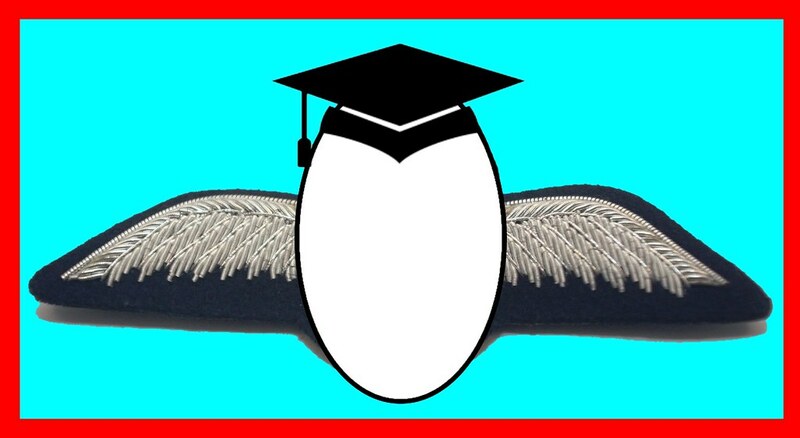 Perhaps a mortar board with wings on either side? The background ought to be a solid light colour for contrast, with a simple border. I'l play with the concept and report back to the group. I'm sure I'll find something in the stash that fits. There should be a Roden-T28 Trojan, a Revell Eurofighter and a Italeri-North American F-100F Super Sabre. But for now let me hijack Jessica's post about a ribbon. BTW: Jessica, you only got 50 X 20 pixels. pretty nice idea with the egg! But please let me edit it again and resize it to the proper ribbon aspect ratio.